If you are thinking of withdrawing money at midnight of November 14 to early next day – think again. Actually, don’t ever think of it especially if your ATM is from Krung Thai yet there’s no Krung Thai ATM near you. There’s Bangkok Bank, Kasikorn and the like? That’s not gonna happen either. The Bank of Thailand reported that a system testing will be done. 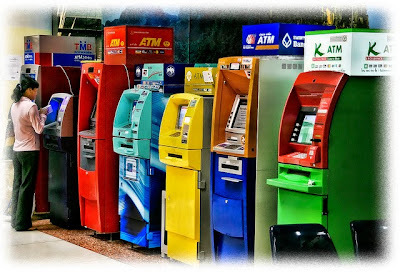 BANGKOK, 14 Nov 2014 (NNT) – All automatic teller machines will temporarily stop servicing between midnight of November 14 to early next day due to the system testing. The Bank of Thailand reported that commercial bank customers would be unable to withdraw cash through ATMs of different banks other than that specified in their ATM cards, or make any transaction between domestic banks and foreign counterparts from the midnight of November 14 until 2 a.m. of November 15. The central bank explained National ITMX Co. Ltd., provider of the inter-bank payment system, needed to stop teller and transaction systems between local banks and foreign ones for a short period in order to transfer the current ATM system to the new center. The company will first examine the ATM system’s connectivity during 10 p.m. to midnight on November 14. The central bank confirmed the public could use ATMs as usual during that period, as the operation would not affect the services. If a problem occurs while the testing is in process, the company and member banks will immediately switch to the old system to ensure normal services. News Source: National News Bureau of Thailand.